After ten years, Will Smith is making a comeback with new music! Mr. Smith recently joined Bomba Estéro’s “Fiesta” remix, hitting over two million reviews in one week. Smith mentions in a recent Beats 1 radio station interview that when he entered the booth to lay down a new mixer, he did not feel confident as other people would think due to his success in the Industry. “When you had a certain amount of success, it seems like it should breathe confidence, but it actually doesn’t..when you win a lot and lose the ability to lose, you’re not allowed to lose anymore, you actually lose the ability to create,” . Will has had many top singles such as “Gettin’ Jiggy,” “Miami,” and “Wild Wild West,” but after taking a long break with music, he wants to figure out a way to express his creativity with the newer generation. “This is the first real generation of Hip-Hop artist that are turning 40 and 50 and keep wanting to be spitting…I am definitely interested in pushing the envelop.” Although Will Smith has already made over 30 songs in the booth with a simple pen and paper, he still has not decided what will be in the official album, but his ultimate goal is to make sure his lyrics fit the flavor of music and inspire his fans. 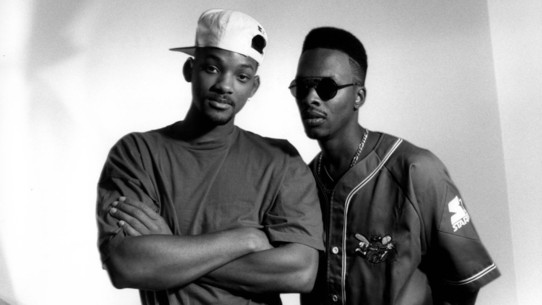 Will Smith will have his first summer world tour with Jazzy Jeff! it has been over 22 years since this duo made made music together. However, Jazzy Jeff is still an in-demand DJ and performs an estimated 150 shows a year. Don’t miss this epic tour next summer and be alert to cope Will Smith’s album when it drops! Fresh Prince is back, with a new twist!